When the economy tanked back in 2007, a lot of businesses got flushed into the whirlpool and went down the drain with it. If you are still in business, the good news is that you are a survivor! 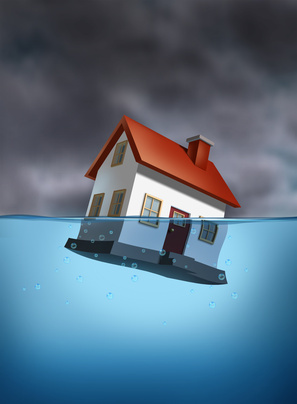 Although the economy is improving, many small businesses are still treading water. You may have to rebuild your business brick by brick to regain the success you had previously achieved, but more good news— you have the tools to do it. Start by remembering what you did to make your business a success and do it again. Whether you are new to freelance or just need some more ideas, here are some tips on how to get back to solid ground using both off-line and online promotion strategies. Advertise in your local print media. Become an active member of local clubs and groups such as fraternal organizations or your area Chamber of Commerce. Look for bulletin boards in shops and malls, but instead of just hanging your business card there, print a flyer that emphasizes the strong points of your business. For shops with bulletin boards or other posting areas, ask the shopkeeper (not the check out clerk) for permission to hang your flyer and hand your business card directly to them. If your flyer is time sensitive, remember that it is just as important to take it down when it has expired as it is to hang it up. Print a newsletter with a topic that is relevant to your business and of interest to your market. Hand deliver it to the businesses you want to target. Business Cards: Include one in any correspondence related to your business from brochures and letters of introduction to your business bill remittances. Brochures: Have them ready to send in response to inquiries, along with introductory letters, and hand outs for local shop owners. First of all, keep in mind that every sentence you put online may be read by a prospective client. Whether you are writing for a work projector posting in a forum or on Face Book, if your mechanics (spelling, punctuation, grammar) are faulty, you may be noticed—for the wrong reasons. Forums: Stay off the soap box. Forums work best when you become an active member by helping others answer their questions. People who use forums generally come to have their questions answered. While you may be an expert in your field, unless you are a veteran in the community, posting an article instead of an answer probably won't help build your credibility. Social Networking: Be social. Let your followers get to know you. That means commenting on the posts of others and sharing their posts as well as your own. As well as posting in your business niche, share your other interests. People will do business with others that have similar interests. But don't post anything that you wouldn't want a customer to read. Join online groups: Wikipedia, About Us, Git Hub, Launchpad, etc. Although you'll be working with peers, some of your peers may need your expertise for their projects. Build a Website: Put together a good portfolio that spotlights your skills. Developing your own domain serves as an example of your skills. Although prospective clients may want to see sold work rather than sample work, a web site or blog serves a couple of purposes in addition to promoting your writing skills. It gets you writing on a topic and developing ideas for the public. Practice does make perfect. The more you write, the better at writing you will become. Comment often: When you see a product, service, or blog post you like, be quick to either review it or make a detailed comment. If you use a product or service, send a testimonial for it. If you have reviewed it, include your review and/or the link to it. Make sure that your review or testimonial includes the information that you are a freelance writer. The old adage says, "if you throw enough mud at the wall, some of it will stick". Don't be afraid to try everything! Remember that "success has many fathers, failure is an orphan."